Wimpole History Festival 2019 is returning for its third year, 20-23 June. The festival has this year added another marquee as well as a schools day to its programme, with this third marquee dedicated to children. Tickets are now on sale. 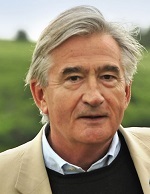 Festival headliners include Antony Beevor (pictured), Michael Morpurgo, Melvyn Bragg and Lucy Worsley, Neil Oliver, Colin Grant and Andrew Roberts. 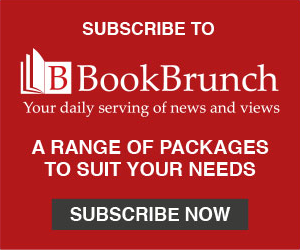 Highlights include a keynote speech by Jonathan Freedland; an appearance by Bart van Es, winner of the Costa Book of the Year Award 2018; Colin Grant and Clair Wills will discuss Windrush and mass migration's impact on a transfiguring period of UK history and its legacy and treatment today. Cathy Moore, festival director, said: "I am delighted to see how quickly Wimpole History Festival has established itself on the festival circuit. I am particularly thrilled at the growing appetite of people of all ages to come together at the magnificent Wimpole Estate over the Summer Solstice weekend to share their passion for history. To feed this appetite we have an even bigger programme this year which includes a Schools' Day where we are set to welcome 600 primary school pupils." David Olusoga, historian and patron, said: "I'm proud to be a patron of this fledgling festival, which feels like it has been running successfully for years. This year's programme is diverse, global and spans an impressive arc of history and it brings to Wimpole many of the most exciting historians and writers out there." Paul Forecast, National Trust regional director, East of England, said: "This is the third year of the Festival and it is already established as a 'must do' event in the calendar. The variety of events and access to the wider estate means that there is something for all ages and interests. I am thrilled that we have responded to the popularity of the event for families and added a marquee and new activities for children. The Festival is ultimately a celebration of stories."